Items in stock are available for immediate delivery. 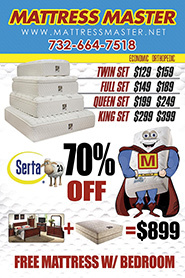 All mattresses are proudly made in the USA! High quality, factory assembled furniture. We stand behind everything we sell. 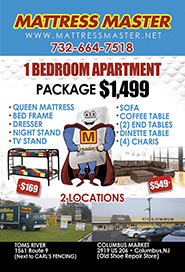 FREE Mattress set with every bedroom package! FREE Local Delivery / FREE Layaway- (call for details) We do ALL our own white glove deliveries. Professional & Caring Sales Team! GREAT REVIEWS! on both our website and Facebook.